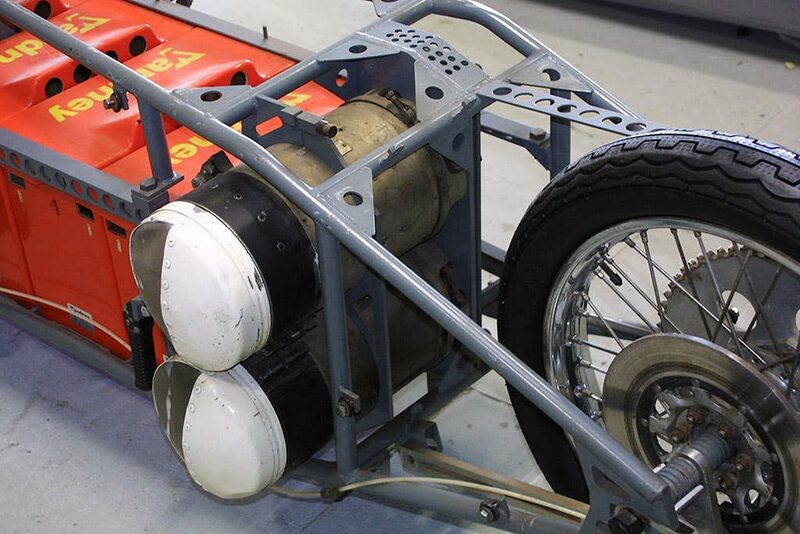 In 1967, Union Carbide employee Karl Kordesch made a fuel cell using nickel–cadmium —later replaced with a hydrazine fuel cell— and created a hybrid electric motorcycle with a range of 200 miles and a top speed of 25 mph. 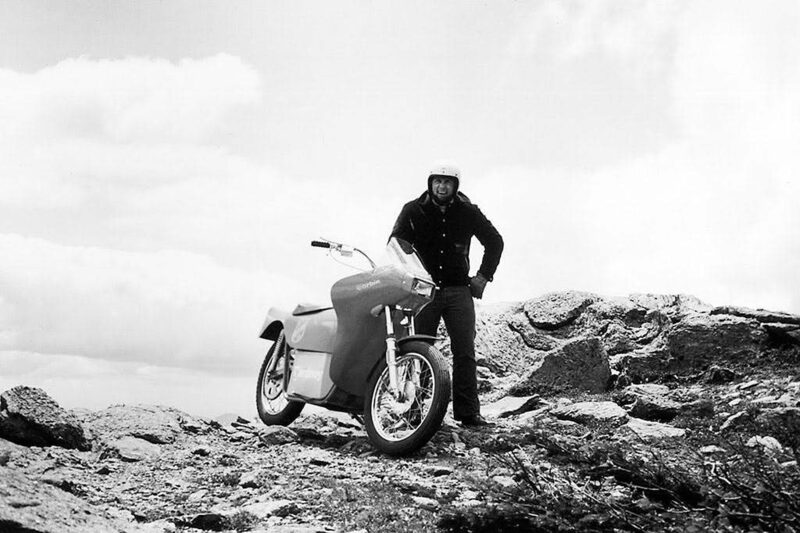 Serial innovator Floyd Clymer built the Papoose prototype electric Indian bike the same year. Six years later Mike Corbin took it one step further. 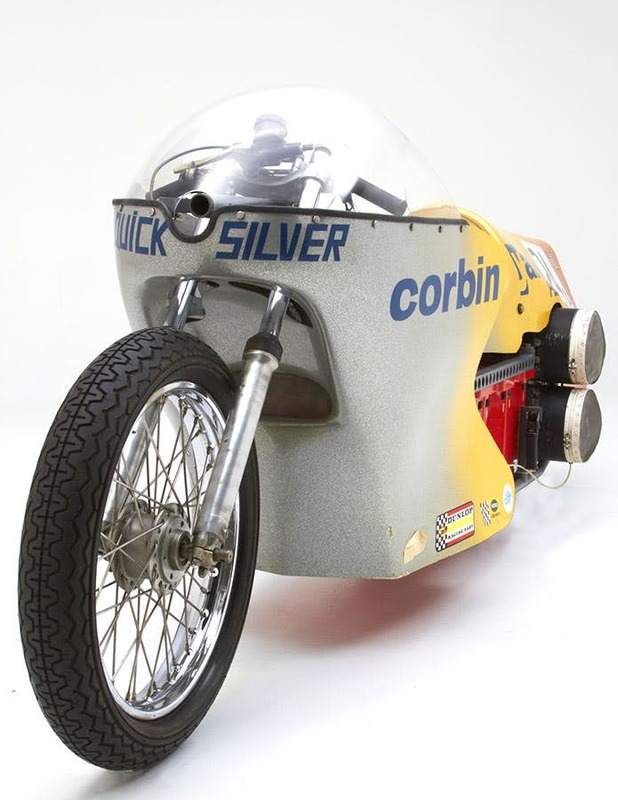 Popular motorcycle custom seat maker Corbin is based in Hollister, California, about 100 miles south of San Francisco. 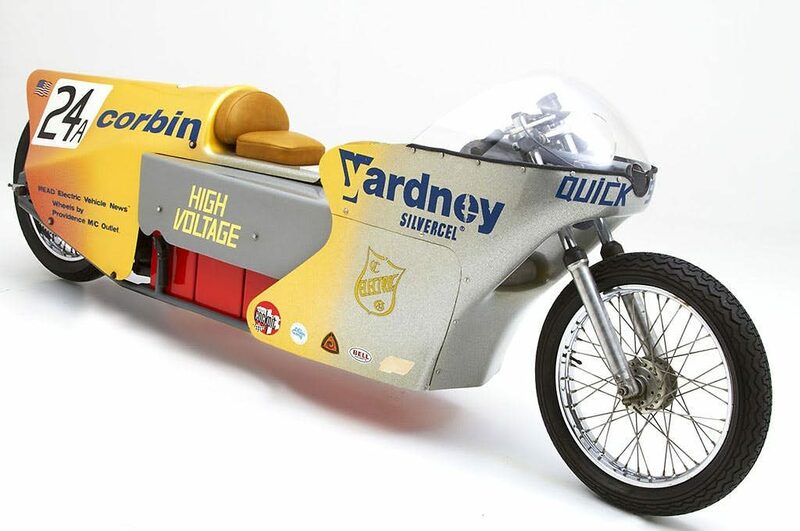 The company celebrated its 50th anniversary recently, and few newer riders are likely to know about company founder Mike Corbin’s significant role in electric motorcycle development in the 1970s. 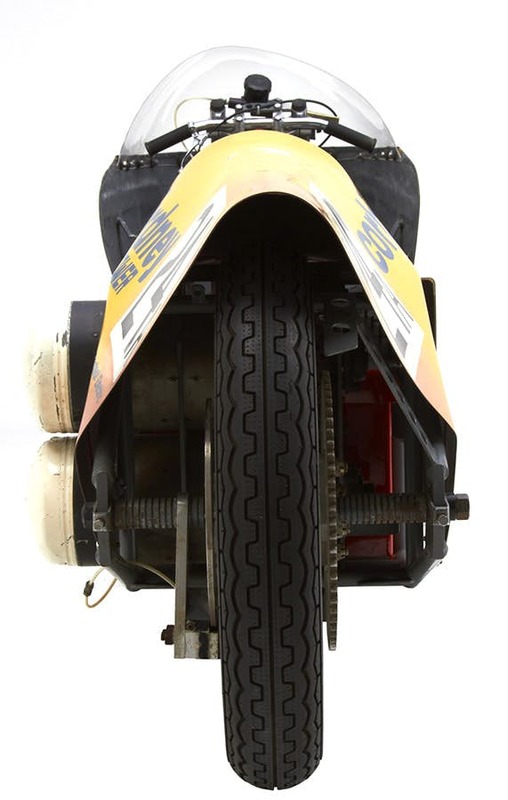 His experiments with electric motorcycles range from an electric minibike, to an electric street bike with production intentions, to an electric land speed bike, which set a record of 161.387 mph round trip, with trap speeds over 201 mph at the Bonneville Speedway in Wendover, Utah in 1974. The record stood for 38 years until the Lightning LS-218 surpassed it in 2012. 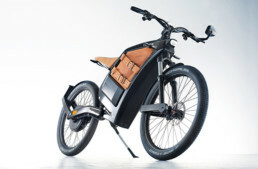 Later, he attempted to mass-produce an electric personal mobility vehicle, the Sparrow, and received $40Million in orders! 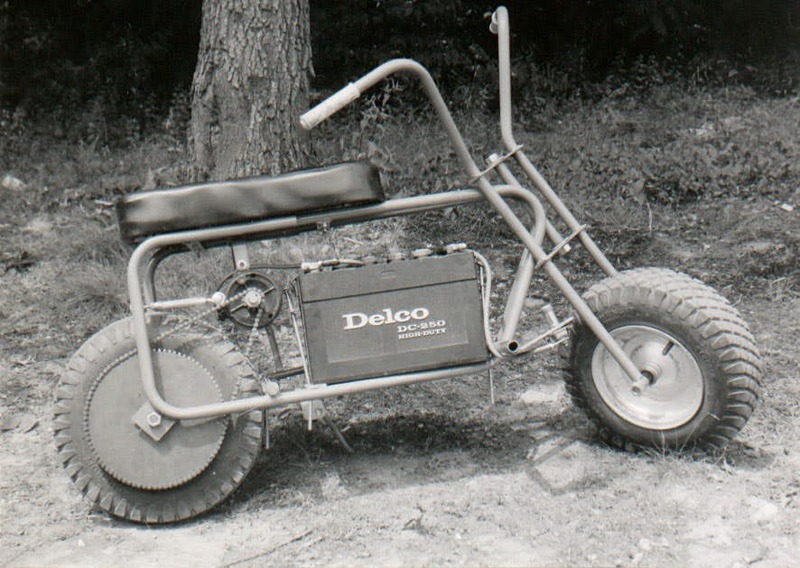 Corbin started by electrifying a popular minibike, then quickly jumped to building bigger machines. 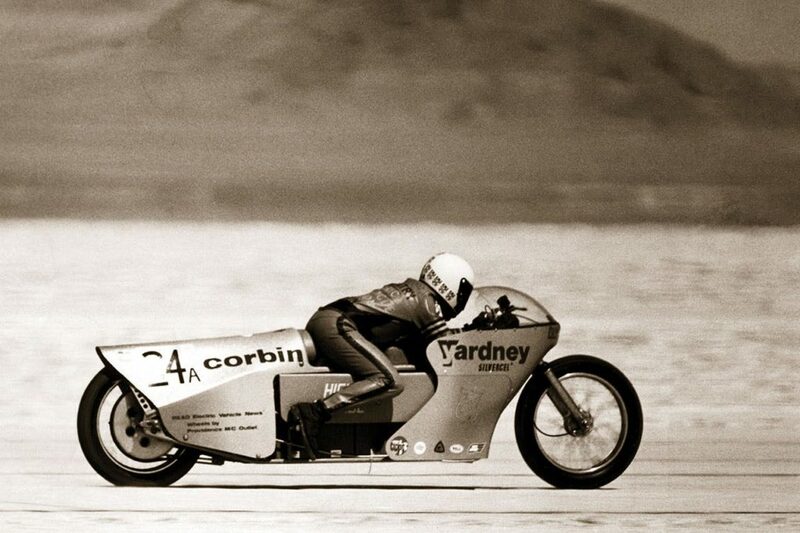 His first two attempts at land speed racing with his Quicksilver semi-streamliner were hugely successful, making Corbin the first to exceed 100mph on an e-Moto at Bonneville, and later, with the same machine but batteries supplied by Yardney, he sped into legend. 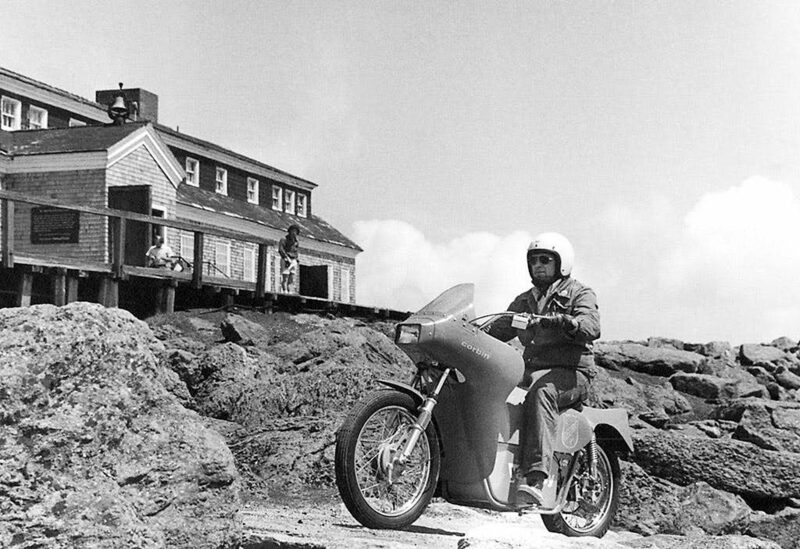 “So we built the bike, and it ran on lead acid cell batteries, and we went to Bonneville in 1973,” he explained. 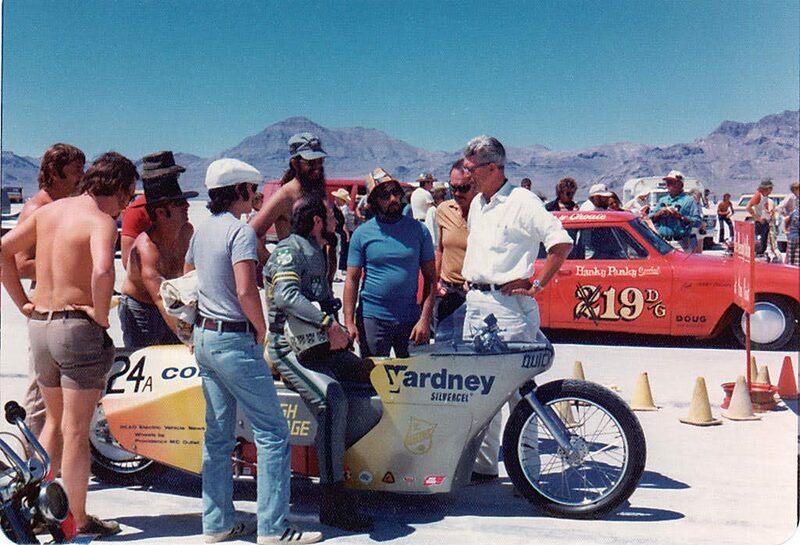 “We were the first electric motorcycle ever to run at Bonneville. We went 101 mph round trip average, that made us the fastest guys in the world on electricity. “They call ours a robust record,” Corbin added. “It was one of the longest standing records ever. And a lot of attempts were made on that record, there must have been 15 motorcycles over the years that would come out and try to take our record. I came out to watch two or three of them. I can look at a bike and tell you how fast it’ll go, and they all did everything wrong. “When Lightning came along, they had the battery chemistry down. 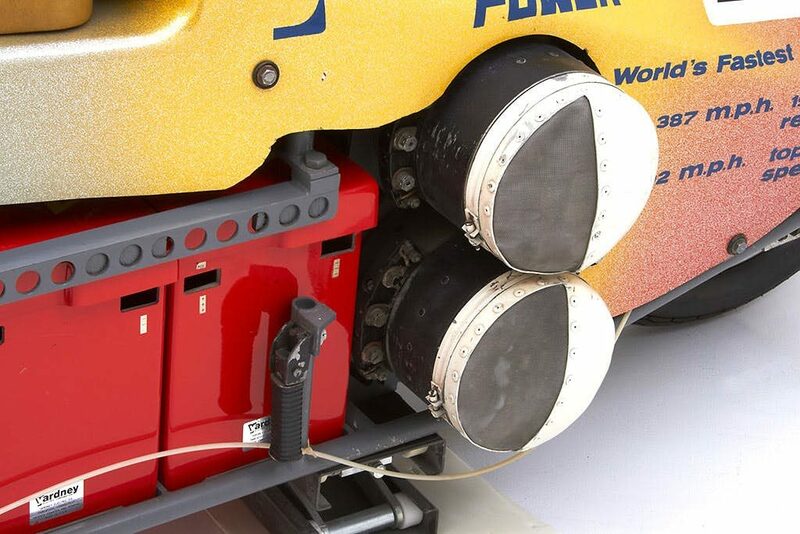 Plus, what you have now are the AC controllers, those and the AC motors are just unbelievable. You have such amazing equipment now that it’s almost unlimited what we’re going to be able to do with electric vehicles. “But in those days, it had to be DC if it wasn’t gonna have a wire on it. DC electricity itself limits you a great deal. Everything’s heavier and high amperage. So the A4B DC starter motors; we bought a full pallet of them from the Navy surplus, because they used to burn up. You’d get going like hell, and they’d overheat and solder would come out of the commutators. And these copper bars would fly out into the motor, and you’d have to throw the whole thing away. So I had a bunch of those, I think I’ve still got some out in my warehouse. “And I had the battery, the battery was good, the only problem was we had to find a way to charge it. The controller was the hard part. We didn’t have any way to rheostat that much amperage. So what we did was make a stepped voltage controller with magnetic contactors. So we need 220 volts AC for the battery charger. I get my wife on the phone with this little hotel in Wendover, Utah—that’s near where Bonneville is. I says “Okay, Jane, don’t let the cat out of the bag. Call them up, make sure they have a washer and a dryer.” And I’m visualizing that I’m gonna have 220 with 30 amps, at least.”“She calls them up and they say ‘don’t worry, we’ve got a full laundry.’ So I’m telling the Yardney guys “yeah, we’re gonna charge the battery off their 220 volt dryer socket.” But we get there and what have they got? A 110 volt dryer. Seriously, you couldn’t dry two handkerchiefs in that thing. So now we’ve got no 220 plug. But it did the job!